In the early 1980s, Paul Hardcastle played keyboards on several singles on the Oval record label by the dance music groups Direct Drive and First Light, before going solo. He achieved some acclaim for his early singles, notably the popular instrumental, “Rainforest” (1984), but came to greater prominence in 1985. 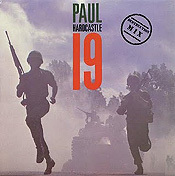 The 1985 release of '19' brought Hardcastle acclaim and chart success. '19' was a dance record, featuring stuttering samples of television narrator Peter Thomas speaking about Vietnam war veterans suffering from posttraumatic stress disorder. The record topped the charts in England and both France and Germany in two versions - the English language original and an authorised local language alternative. 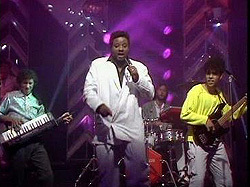 Hardcastle enjoyed several further hits in the UK, including “Don't Waste My Time” (with vocals by Carol Kenyon) (UK #8) and “The Wizard”, a UK #15 and also the theme tune from BBC Television's Top of the Pops. He also had a hit with “Just For Money”, which reached #19 in the UK. Earlier, he had cut a cover version of D-Train's most influential hit “You're the One For Me”, segued with his own compositions “Daybreak” and “A.M.”. After 1986, Hardcastle started to specialise in TV soundtracks and remix work, for artists as such as Five Star, Barry White, Third World, Sinitta, Johnny Logan, Hiroshima and Ian Dury. 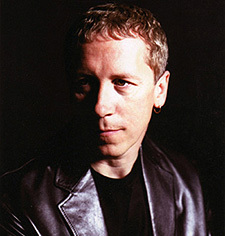 Hardcastle has also recorded several acclaimed synth jazz albums, alternating releases under the artist names The Jazzmasters, and Paul Hardcastle. Working regularly with vocalist Helen Rogers, Hardcastle has recruited several top saxophonists including Gary Barnacle (on the first album), Snake Davis, Phil Todd and Tony Woods. I recently had the opportunity to speak with Paul Hardcastle about a Korg 700 S synthesiser, Chihuahuas, about his Jazzmasters series, and, of course ... penguins! Taking it from the top, and what first got you interested as a young boy in synthesizer's - and can you remember when you first got your hands on one, played it, and felt the sound course through you? "I was in a music shop in the West End of London and was messing about with a Korg 700 S synthesiser and made a great wind sound. From then I was hooked." In the early '80s, you played keyboards on several singles - dance bands such as Direct Drive and First Light - before going solo. Did you know at the time that you didn't need to hide in the shadows of being a session musician for others and that going solo was the next logical step for you - or was it just a complete gamble on your part? "It was a gamble, but I knew I could do ok as I was doing lots of instrumental tracks in the clubs." Indeed, from that break, you quickly achieved some acclaim for your solo work, notably the Electro-funk Hip Hop instrumental, 'Rain Forest' in 1984. But, little did any of us know that the following year your biggest hit would sweep the world - literally! '19' was an international #1 in 13 countries for weeks, and was such a powerful song that still to this day it resonates though us all when heard. Please tell us more about the birth of this incredible song, of where the inspiration came from, and if there were any speed bumps you encountered in its recording? "I was watching a TV program called Vietnam Requiem, and it mentioned that the average age of the soldiers was 19. I took that on board and created the song. The only problem was that the emulator which was the sampler I had only had 2 seconds of sampling time - so the only thing I could fit in was the word 19!" Hmmm, looking back at your chart facts and figures, I see that the next single you released, 'Just for Money' reached #19 on the UK charts! A coincidence, given the previous hit single of the same name/number, or something for Mulder and Scully to investigate, perhaps?! "Ha-ha, yea, that number again, 19. It seems to come up a hell of a lot. I have had 4 chart entries on the smooth jazz chart at 19!!!!" Is it true that Simon Fuller actually named his company/record label after your hit single, '19'?! "Yes, I was Simon's first artist - and he named 19 after my song." Indeed, are you working on other music-related projects as we speak - current or forthcoming, that you can discuss? "Yes, the Jazzmasters, and I am starting on Paul Hardcastle 6, as we speak." So, we won't be seeing a new Paul Hardcastle album this year over here in the States? "No, it's Jazzmasters 6 in July." Although both 'Just for Money' and 'Don't Waste My Time' indeed broke into the UK Top 20, you once again brought forth another British (historical) musical gem - 'The Wizard'! Now, as many American's may not know, 'The Wizard' soon became the theme tune to BBC TVs weekly chart show, Top Of The Pops and went on to reach #15. Were you actually asked to write the TOTP tune afresh, so to speak, or was it just a song of yours that they loved, wanted, and then began racing up the charts thereafter? "I was asked to write the new theme tune for Top of the pops, while I was appearing on the show - promoting 'Don't Waste My Time'." Being that your most successful chart period (in the UK) was between 1984 and 1986, in reflection it kinda looks like a shy musician; one that loved to record, but didn't necessarily need/crave the media spotlight, poked his head out into the chart world for a moment, garnered the sweet smell/taste of success, and then almost-as-quickly, went back into the shadows once again. Subsequently doing remix work for Sinitta, Johnny Logan, Five Star, etc. and even TV soundtracks, it seems to me (from press now that relates to it back then) that you were, perhaps kinda relieved that the white hot glare of the spotlight had been taken off of you - was that the case at the time? "Yea, it was kinda freaky going into shops, etc. and people saying, 'Hey Paul, can I have your autograph' - and getting lots of things sent to me free. It was ok for a few years, but I don't need that all the time." You've subsequently recorded several synth-jazz albums, alternating under the artist names The Jazzmasters and Paul Hardcastle - Hardcastle 5 ('08), The Jazzmasters 6 ('10) - so it's plain to see you still love to record. But why synth-jazz? When did that become your musical forte and what influenced you back then? "I'm not sure. I get my style from Barry White, Pink Floyd, Lonnie Liston Smith, etc. I would not say it's really Jazz, more Smooth Jazz." Fun Five - OK, it's now time to fire off some quick questions - to allow those that think they know Paul Hardcastle to perhaps think again! a) Can you remember your very first TOTP appearance? What song/year was it and at what level of nervousness were you at that whole day? "It was with D Train. I didn't have that many nerves. It was a great day. James Williams is a great singer." b) Is there one of your songs that you look back on and would today change the title to, or a line/lyric from it - and if so, which one, and why?! "It would be 'Just for Money.' I just don't like it anymore. It was a mish-mash of the whole worlds ideas. Everyone had something to say on it." c) Do you have a recurring nightmare or dream - and if so, how does it usually end? "No." d) What is your sweetest, guiltiest pleasure (food wise!) late at night? "Orange Club biscuits!" e) If you could meet any deceased celebrity, who would it be - and what would be the first question you would ask them? "Jimi Hendrix - what's a Voodoo Chile?!" If asked to record one for charity, what '80s (and possibly cheesy!) pop/rock song would you love to cover today...and why? "'Everybody Wants To Rule The World' - don't know why though!" And will the USA ever get to see Paul Hardcastle tour over here? There's the Here & Now, Rewind, and Regeneration tours, but we never get to see you named on the bill for the American side of things. Is there anything we can do to change this? "Get me a big sponsor so I could do the show like a Pink Floyd gig!" Lastly, and throwing you a journalistic curve ball, Exclusive Magazine loves Penguins (the flightless bird, not the chocolate bar!) ... do you? "They are fine, but I prefer Chihuahuas - we have 3."